These scones are moist, light and fluffy, and don’t even taste of coconut as you would think given some of the ingredients. Mix together the flour, being powder and salt and then make a well in the centre. Add the liquid ingredients all together and them mix to a soft dough. 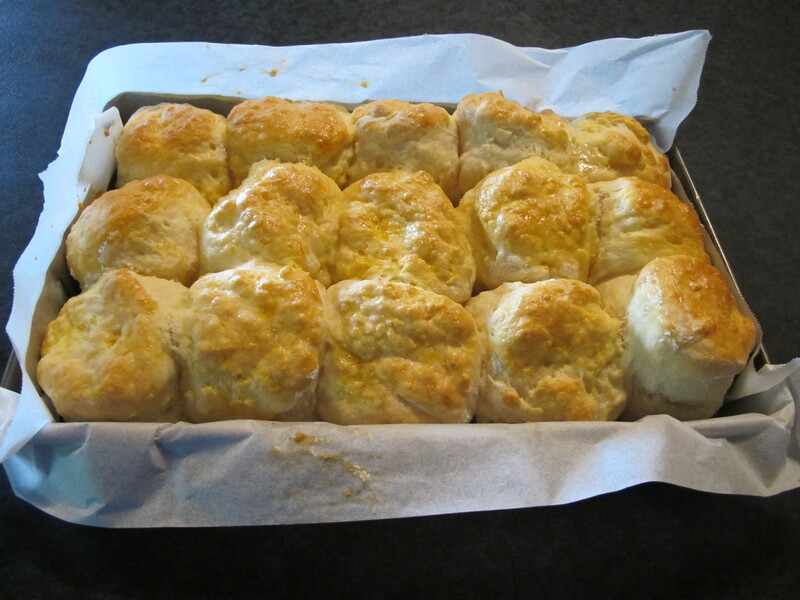 Turn out onto a lightly floured surface and cut into 12 to 15 scones. Line a lamington tray 18cm x 28cm (or thereabouts) with baking paper and place scones in the tray side by side. Bake at 180 degrees C (fan forced) for 20 to 25 minutes.